Litecoin has been performing slightly better than the market recently, perhaps due to its sleek new design? In any event, it has been pushing to a series of higher highs recently, and is poised to possibly do so again at $34. The next few hours will see if it can push through and carry on. - Litecoin has recently debuted a new, blue logo. - Price has entered into ascending channel. - If channel holds, we could soon see the price test back too $34. 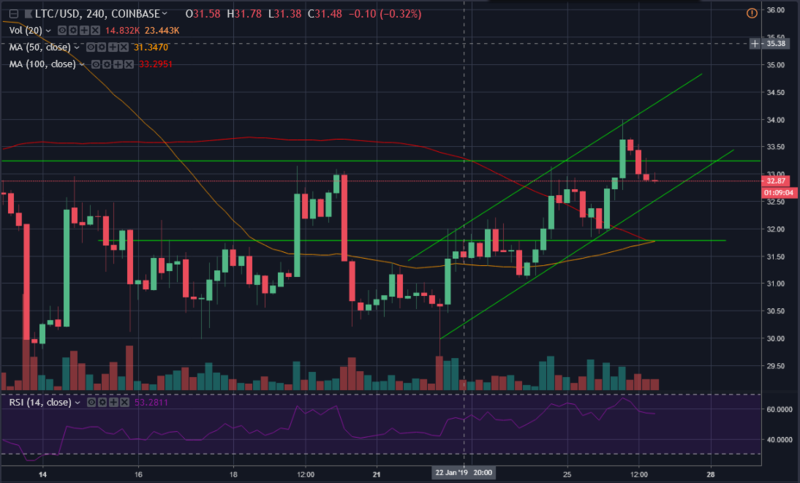 Looking at the 4 hour chart we can see that Litecoin has entered an ascending channel that has been bringing us up into higher highs. We are currently testing near the bottom end of this channel, and if it holds, then there is optimism we will see the price head up to the higher end again, which could see us retesting $34 and possibly even pushing up to $34.50. Looking closer on the 1 hour we can see the 50 hour MA is aligning nicely with the lower end of the channel, which is hopefully adding support to it. Bull Scenario: The bottom of this channel continues to provide support and the price retests $34 and breaks through. This should take it up to at least $34.50. Bear Scenario: If we break out below the channel we could tumble a bit, likely to at least recent psychological support at $32. Hopefully Litecoin keeps seeing these higher highs and higher lows. If so, it may be able to build enough strength to begin testing levels from before the recent dips, like $40 and $45. Stick with Chepicap for all updates on Litecoin price action! 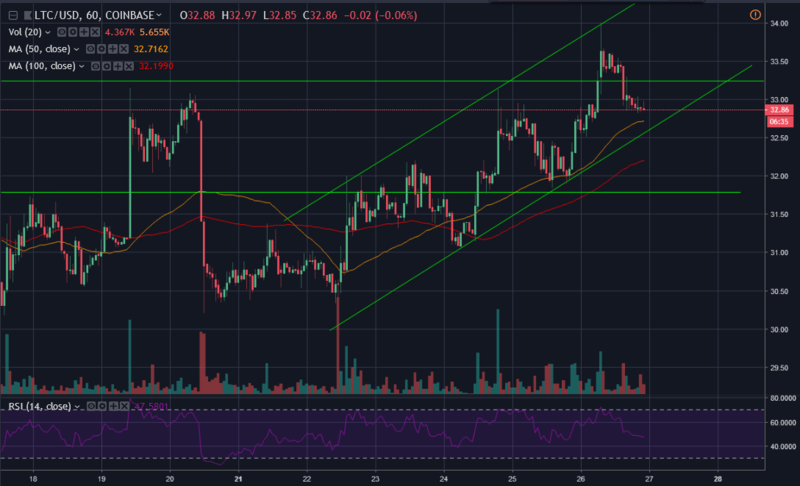 Can Litecoin keep this rising channel action going?